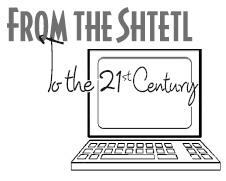 The Jewish Genealogical Society of Illinois has organized a one-day Jewish genealogy conference, “From the Shtetl to the 21st Century,” on Sunday, June 6, in Skokie. The full-day event features experienced instructors on topics to expand knowledge of genealogical resources, including a two-part Beginners’ Workshop. Five time slots each feature three concurrent programs. This event can also be considered a great lead-in and preparation for the main event of the Jewish genealogy year, the 30th IAJGS International Conference on Jewish Genealogy – JGSLA 2010 – which runs from July 11-16, in Los Angeles. Speakers at the Illinois event include Ron Arons (keynote speaker), Judith R. Frazin, Harriet Rudnit, Abby and Bill Schmelling, Ralph Beaudion, Leslye Hess, Robin Seidenberg, Irwin Lapping, Alvin Holtzman, Louisa Nicotera, Everett L. Butler and Mike Karsen. Topics include: Beginners’ Genealogy Workshop, Using the Internet to Research Your Family History, Travel to Your Ancestral Shtetl, Find That Obituary Online, Holocaust Research in Libraries and Internet, Polish Translation Guide, Mining for Gold: Online Newspapers, Waldheim Cemetery, Basics of DNA Testing, Mapping Techniques, Cook County Genealogy Online, Genealogy Research Reasoning, Write Your Family History Now, Ask the Experts. Before May 15, fees are: Members (of any Jewish Genealogical Society), $45; others, $50, Conference plus JGSI membership (new member only), $70. After May 15, each category increases by $10. Download an event brochure, and find more program details, at the JGSIllinois website. Seeing this program with the mention of the Library of Congress’ Hispanic Division reminded me of an incident quite a number of years ago. Our daughter was going to visit one of her friends, who was studying Spanish in Seville. The two were planning to visit, among many other places, a town near Zaragoza which might have had a connection to our family’s Sephardic ancestry. I called the LOC and spoke to a very helpful young man in the Hispanic Division, and gave him the name of the town. He looked it up in an 18th century gazetteer, and among other interesting items, it noted “Hay muchos lobos y zorros” (there are many wolves and foxes). When daughter and friend took a taxi out to the village from the city, the driver told them to be careful because “hay muchos lobos y zorros.” The two students, of course, were rather amused, and the driver was understandably confused. In any case, “Jewish-Latin American Historiography: The Challenges Ahead” is the May 17 lecture at the LOC. An increasingly popular area of academic inquiry, many institutions are offering related classes. History professors Raanan Rein and Jeffrey Lesser will present the free joint lecture at noon, Monday, May 17, in the Mary Pickford Theater, (third floor, LOC’s James Madison Building, 101 Independence Ave. SE, Washington, DC). It is jointly sponsored by the Library’s Hispanic Division and the Hebrew Language Table in cooperation with the Embassy of Argentina and the Embassy of Israel. Reservations are not required. Tel Aviv University’s Raanan Rein is the Sourasky Professor of Latin American and Spanish History and head of the S. Daniel Abraham Center for International and Regional Studies. Author and editor of more than 20 books and several dozen academic journal articles, he’s co-president of the Latin American Jewish Studies Association and a member of Argentina’s National Academy of History. Emory University’s Jeffrey Lesser is Samuel Candler Dobbs Professor of History and director of the Tam Institute for Jewish Studies. The author of “A Discontented Diaspora: Japanese-Brazilians and the Meanings of Ethnic Militancy, 1960-1980,” “Negotiating National Identity: Minorities, Immigrants and the Struggle for Ethnicity in Brazil” and “Welcoming the Undesirables: Brazil and the Jewish Question,” he was a Fulbright Senior Scholar at the University of São Paulo and held the Fulbright Distinguished Chair of the Humanities at Tel Aviv University (2006-7). He is the former president of the Conference on Latin American History.. The Library’s Hispanic collections comprise more than 13 million items and are the most extensive such collections in the world. Recognized as one of the world’s foremost centers for the study of Hebrew and Yiddish materials, the Library’s African and Middle Eastern Division holdings include works in Hebrew, Yiddish, Ladino, Judeo-Persian, Judeo-Arabic, Aramaic, Syriac, Coptic and Amharic. The section’s holdings are especially strong in the areas of the Bible and rabbinics, liturgy, Hebrew language and literature and Jewish history. The global archives director of the American Jewish Joint Distribution Committee will speak at the next meeting of the Jewish Genealogical Society of New York, on May 16. The event opens with networking from 12.30-1.45pm, followed by the main program, at the Center for Jewish History, 15 West 16th Street. JDC’s director of global archives Linda Levi is responsible for archival centers in New York and Jerusalem. She is also assistance executive vice president for global archives. An NYU graduate, she holds an MA in contemporary Jewish studies (Brandeis University). Since its inception in 1914, the American Jewish Joint Distribution Committee (JDC, known popularly as “the Joint”) has borne witness to the greatest events of twentieth-century Jewish history. The JDC Archives documents the organization’s operations, overseas activities and serves as a record of life in Jewish communities around the world. Its extensive holdings include eye-witness accounts, correspondence, reports, logs, passenger lists, emigration cards, photographs, and much more. Participants will learn how the Archives are organized, see examples of rich genealogical records in the JDC archival collections, and find out how to conduct research at its repositories. New efforts to digitize the JDC collections will also be included in the discussion. For more information, visit the JGSNY website. A visit to Girona detailed in the Washington Post brought back wonderful memories of several visits. Although a general travel article, there are a few paragraphs focused on the Call, the Jewish quarter, the scene of murder, mayhem and forced conversions in 1391, and whose residents were finally expelled in 1492. The story, and the accompanying photo gallery, are well worth a look. It covers the important things and the wonderful things. The story reminds visitors about the Jewish quarter’s medieval cobblestoned steep stone steps and walkways which are difficult to maneuver if a visitor has any mobility issues. Wear good supportive sneakers or mountain-climbing sandals in appropriate weather; and do remember that stone is slippery in wet weather. If you arrive by train – a short ride from Barcelona – take a cab up the steep hill, although some travel advisors say it is a quick walk. Don’t believe it. On our first trip there, we were advised that one could walk it. Tracing the Tribe took one look at the terrain and grabbed the first cab we saw. It was an excellent decision. Once you’re on top, navigation isn’t too difficult, although there are so many lovely alleys, back streets and more – sometimes with a glimpse of private gardens – that only foot power can reach, and it would be a shame to miss them. The Nachmanides Center/Jewish Museum also offers various walking tours and occasionally these include private houses and gardens. I just learned that there’s now a two-hour Segway tour – what a great idea! Every May, Girona celebrates Temps de Flors. This year, it’s May 8-16. Private homes and gardens are open to visitors. It’s the perfect time to visit Girona. The Post story covers the central plaza, the cathedral and its old city plaza, great restaurants, wonderful views, the sense of history in every corner of the old city, tradition oozing from each stone. It is easy to imagine what the Call might have looked like 500 years ago. 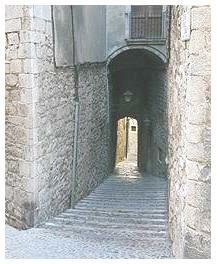 It is also easy to understand how its Jewish residents felt during certain Catholic holidays when they were forced to remain barricaded inside their homes for fear of the mobs, during the tragic events of 1391 which decimated most Jewish communities across Spain, and in the period leading up to the their ultimate expulsion in 1492 and their hurried departure. The Girona Archives are particularly rich in Jewish content, and several books providing collections of documents have been published. The museum bookstore should have copies – that’s where I purchased mine. The restoration of the Call began in the 1980s, when the mayor (also a historian) rediscovered the ancient Jewish quarter, began the reconstruction of medieval buildings and made other changes. Although no organized Jewish community exists today, there are some families who live there today and get together for holidays. Tracing the Tribe visited the Girona families several years ago and learned that they represent diverse origins and professions. Most are connected in some way to Atid, Barcelona’s Progressive congregation. The stones of silence remain to be discovered by today’s visitors. If you go, don’t forget to visit the Jewish museum, bookstore and other locations. Click here for more information on events in the Call, which even has a Facebook page. While the Nachmanides Institute has an excellent library covering diverse subjects, genealogy – unfortunately – is not high on their priority list. When I was visiting the library several years ago, I met a family from New York searching their roots and although nothing much was in the library (except an outdated list of gen contacts), I was able to assist them with resources. See a future Tracing the Tribe post with some specific Sephardic genealogy sources, some are little-known outside of Spain. As regular readers will remember, Tracing the Tribe recently visited the town of Bendigo – north of Melbourne, Australia. It was the center of that area’s Gold Rush, and many Jews arrived there to join in. 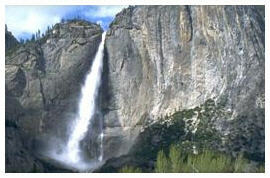 In the US, the mid-1800s Gold Rush was centered in the Yosemite Valley and Mariposa Country. This was also a magnet for Jews, whether as prospectors or as providers of goods and services for the miners. Image above left is Yosemite Park. The Jewish Journal of Los Angeles has an interesting article on Yosemite’s Jewish past and present by Elyse Glickman. Yosemite even has a Jewish park ranger, Scott Gediman of North Hollywood, although the nearest synagogues are more than an hour away in Stockton and Fresno. He says he’s always wanted to be a park ranger, that isn’t that difficult to be Jewish there for a young Jewish family. Back in 1978, the Jewish Sentinel published a historic account written by Norton B. Stern, summarizing Jewish life in the Yosemite Valley and Mariposa County, the epicenters of the Gold Rush in the mid-1800s. Although their numbers were small, Jewish immigrants (mostly from Central Europe, though a few came from France and Bavaria) built their fortunes through dry goods and clothing businesses that in turn provided much-needed supplies, services and necessities for miners and others settling into the West. Many of the Jewish residents were also simultaneously active in politics and civil posts in townships dotting the area — including Bear Valley, Coulterville, Hornitos, Agua Fria and Mariposa. The short but fact-filled 30-year-old article was sourced in the archives of the Mariposa Museum and History Center, a spot small on space but rich in substance. The prolific collection of Gold Rush-era artifacts is organized thematically and exhaustively catalogued in a way that brings textbook American history into three dimensions. Read the complete story at the link above. Israel: Already preparing for 2014! Every 10 years, the International Conference on Jewish Genealogy is held in Israel and 2014 is the next one. The Israel Genealogical Society is already preparing a list of documents to convert into databases to be available at the event. IGS webmaster Rose Feldman says that many families or parts of families immigrated to Eretz Israel. Some remained and built their lives in the country, and some moved on to other places. Databases available now may be viewed here. Those which have been completely funded are available for viewing by the public. The Montefiore Censuses are being prepared as a joint project of IGS and London’s Montefiore Endowment. — 1928 Pinchas Habogrim – which is the equivalent of electoral lists of those over 18 years of age. Currently, they have been located in Haifa, Jerusalem and Tel Aviv. They are already working on some early 20th century Mukhtar Ledgers of Jerusalem’s Ashkenazi population. Readers who are aware of any other documents dealing with Eretz Israel covering the early 19th-century through 1930, are asked to contact Rose. As of today, FamilyTreeDNA.com’s new Family Finder test has been officially launched. The new test connects family members across all ancestral lines, not only paternal or maternal. It represents a major advancement over earlier genetic genealogy tests. Everyone, regardless of gender, can now look for connections including grandparents, aunts and uncles, half siblings, and first, second, third and fourth cousins. The company’s database numbers more than 290,000 individual records – the largest DNA database in genetic genealogy. This makes FamilyTreeDNA the prime source for anyone researching recent and distant family ties. Importantly, for Tracing the Tribe readers, that database also includes the largest Jewish DNA database. This means that if you’re looking for genetic matches sharing your genetic heritage, you should test against the largest Jewish DNA database. The same holds true for everyone interested in genetic genealogy. One should to test against the largest database available for the best probability of finding matches. The test utilizes Affymetrix’ recently launched Axiom™ genotyping technology and the GeneTitan® System to confidently match a wide range of family relationships within five generations. The test analyzes the DNA of two individuals using Axiom Array Plates containing nearly 570,000 genetic markers, including many that are relevant to genealogy. Family Tree DNA then analyzes the resulting data with internally developed algorithms to determine the closeness of the relationship. The complete Axiom Genotyping Solution includes array plates, complete reagent kits, and an automated workflow that enables scientists to process more than 760 samples per week. FamilyTreeDNA.com offers counseling services, tutorials and other helpful tools to assist in the genealogy and matching process. Importantly, it provides names and email addresses of matched individuals whenever possible for easy communication. For more information about the new Family Finder test, click here; for Affymetrix, click here.